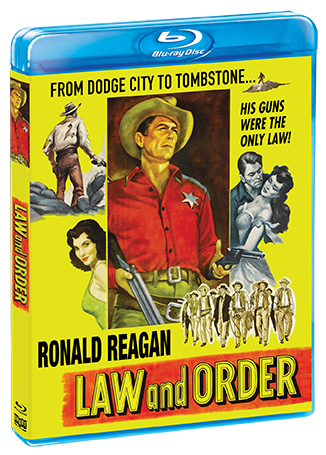 Ronald Reagan must choose between the woman he loves and the dangerous life of a frontier lawman in Law And Order. Marshal Frame Johnson (Reagan) was hired to keep the peace in Tombstone, not kill people. So when an angry mob tries to take the matter of an outlaw into their own hands, Frame realizes that he has no place in a town that doesn't want true justice. Hoping to finally settle down with his sweetheart Jeannie (Dorothy Malone), Frame moves to Cottonwood with his brothers Lute and Jimmy, where they build a ranch. 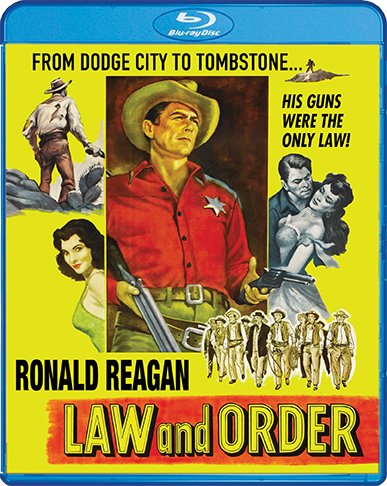 When a rash of cattle rustling threatens to drive out the decent townsfolk, and the local judge suspects that the sheriff is just as corrupt as the thieves, he appeals to Frame for his help. Frame declines, but Lute accepts the badge in his place. When Lute is killed and Jimmy is framed for murder, Frame realizes that only he can stop the corruption and restore law and order in Cottonwood ... or no one will be safe.